Product #235 | SKU 310UDR | 0.0 (no ratings yet) Thanks for your rating! The 310 Series is a high quality Diversity UHF camera-mount wireless system that features 240 User-Selectable frequencies displayed on an LCD screen to assure you of always finding a "free" channel. 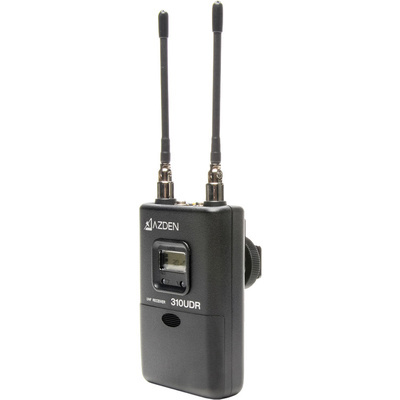 The series consists of the 305UDR On-Camera receiver, the 35BT Belt-Pack transmitter, the 35HT Handheld microphone/transmitter and the 35XT Plug-In transmitter.